A sturdy, compact male, Bubinga inheritied the genetics of Neruda and Avatar. His soft, dense fleece crimps in small waves. Ingeniously, he climbs two steps to the deck landing to survey the farm, and stands on hind legs to pick leaves or apples of his choice. 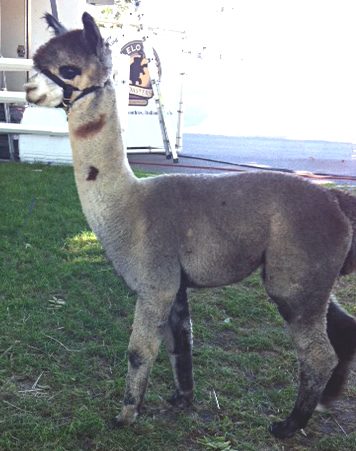 Bubinga's first cria, Stryder, is also a blue-ribbon winner and will soon be on our herdsire list. We are awaiting Stryder's full sibling in late August 2018. 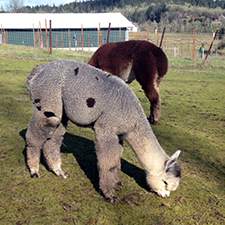 This stunning light silver gray herdsire sheared 10 lbs of fleece at 3 years of age! Kalahari is smart, mild-natured and easy to work with. He often produces either silver or rose gray offspring. 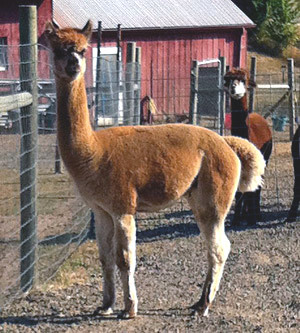 An Accoyo Augusto grandson, Sorrento's dense fleece has fine amplitude and brightness from skin to tip which he passes on to his cria. One judge commented on his "remarkable lack of guard hair." Sorrento is big-boned with good conformation and a sturdy build. 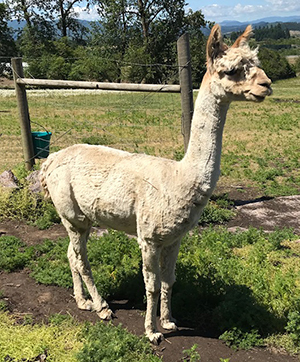 With color champions on both sides of his genetic lines, Kokopelli reproduces his lustrous fleece and winning personality in his fine offspring. Stryder arrived on the scene full of personality and charm. 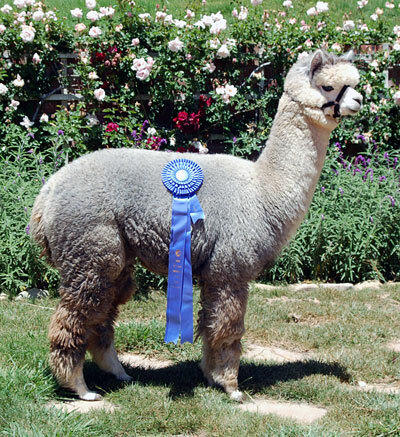 His blue-ribbon fleece is so fine that it appears webby. A savvy hand-spinner reserved it before shearing this year.